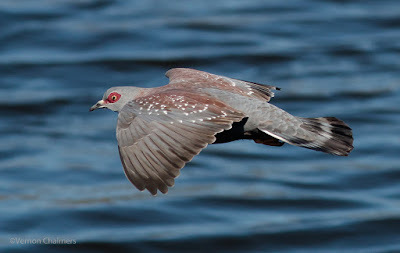 A rock / speckled pigeon doing some fast low flying above the Milnerton Lagoon / Woodbridge Island. 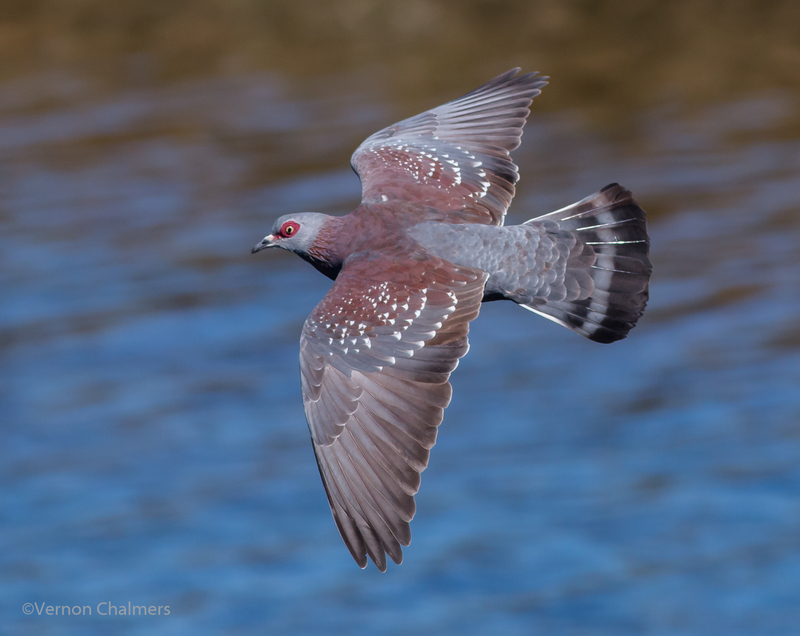 All pigeon photos by Vernon Chalmers with Canon EOS 70D and Canon EF 400mm f/5.6L USM Lens. (fast shutter speeds 3200). Handheld. The first decent captures of the rock / speckled pigeon with the Canon EOS 70D / 400mm lens. 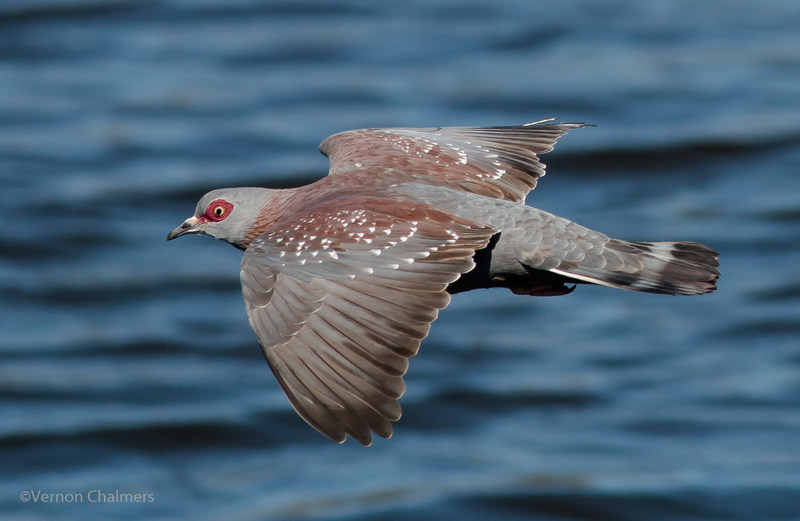 The pigeons nest just off Woodbridge Island and make short random flights over the water. Higher shutter speed of 1/2500s. ISO 640 - 500 and Aperture of f/6.3 across all images.